Vote for the Best Nessie Sighting of 2015. 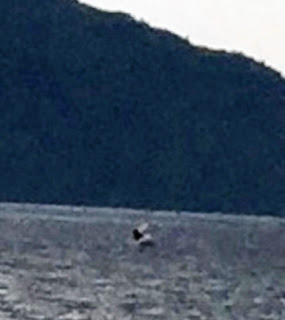 The Inverness Courier is now running their annual vote on the best Nessie sighting of 2015. This is run in conjunction with Gary Campbell's register of sightings website, which you can view here. If you click on this link to the Courier's review of the 2015 reports, you can then follow another link to their main news page and scroll to the bottom where the voting buttons should be on the right. Voting closes at the end of Sunday. Perhaps you can tell from the photo below where my vote went, but I am not going to tell you what is and is not a genuine Nessie sighting (unlike some Popes of scepticism who don't recognise the phrase "in my opinion"). Use your own powers of judgement and make your choice. I had the pleasure of talking with Alyson Dunlop who runs the ADX-Files chat show yesterday and she has posted that 2 hour chat about Nessie today. Check it out at this link.